Shoreland Country Club is perched atop the highest point in LeSueur County. It overlooks the Minnesota River Valley and the town of St. Peter, Minnesota. 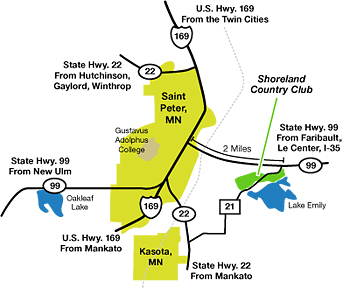 Shoreland Country Club is located two miles east of St. Peter off of State Highway 99.